Ukraine wants to raise the issue with the WTO, according to UNIAN. Ukraine's Ministry of Economic Development and Trade has called on Kazakhstan to demand that the Russian Federation abolish restrictions on the transit of Ukrainian goods, the ministry has tweeted. "[Economic Minister Stepan] Kubiv and [Ukraine Trade Representative Natalya] Mykolska have urged Kazakhstan to demand that Russia lift restrictions on the transit of Ukrainian goods," a statement reads. As UNIAN reported earlier, Ukraine's Economy Minister Stepan Kubiv and Ukraine's Trade Representative Natalya Mykolska met Kazakh ambassador Samat Ordabayev to discuss the issue related to the transit of Ukrainian goods. According to the latest reports, 43 lorries and 22 railway cars carrying Ukrainian goods have been stuck on the Ukrainian-Russian border. On 1 July, Russia imposed additional restrictions on the transit of Ukrainian goods through its territory. Thus, the food embargo with regard to Ukrainian products and industrial goods has been extended until the end of the year. The current restrictions earlier imposed on Ukrainian goods heading to Kazakhstan now apply to transits to the Kyrgyz Republic. The legislative changes also provide for a complete ban of transit of embargoed goods. Mykolska stressed that the new restrictions would cause a complete halt to the transit of goods from Ukraine via the Russian territory to the Republic of Kazakhstan and the Kyrgyz Republic. Ukraine is set to raise this issue at a meeting of the Council for Trade in Goods of the World Trade Organization (WTO), which is scheduled for 6 July, as well as at a meeting of the WTO General Council in late July. Ukraine's government on 4 July announced plans to immediately introduce retaliatory measures in response to Russia's actions. Russia's moves were largely predictable, the ministry noted. 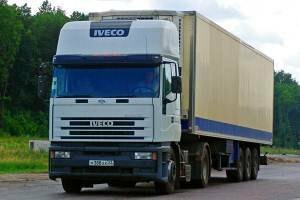 On 24 June, the Ministry of Investment and Development of the Republic of Kazakhstan issued recommendations to Ukrainian carriers carrying out transportation of goods to Kazakhstan to develop alternative routes bypassing Russia for goods transportation starting from 1 July 2016. In particular, Kazakhstan proposed to use routes going through Georgia, Azerbaijan and via the Caspian Sea to the port of Aktau in Kazakhstan, as well as through Turkey, Iran, Turkmenistan and Uzbekistan. Ukraine and Russia introduced reciprocal trade restrictions in January 2016. According to various estimates, Ukrainian producers face losses of over 1bn dollars due to the Russian-imposed restrictions.